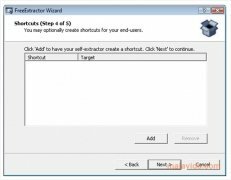 FreeExtractor is a program with which you can modify any ZIP file, to as to make sure that you'll no longer have to worry about depending on a compressor to be able to extract the contents to any folder on your computer, because it has the capacity to create self-extracting files in EXE format, that only have to be launched, as if they were an application. Despite the fact that the ZIP format can be read by the vast majority of computers and operating systems without having to have a compressor like WinZip or WinRAR installed, it's also true that sometimes it can come in very handy to make it much easier to extract the files that you may want to share. How this program works is rather simple, because it's only necessary to select the ZIP file that you want to turn into self-extracting, choose the output folder and wait for the program to modify the file. The interface is rather dull, but due to the kind of tool that it is, it isn't something very important. 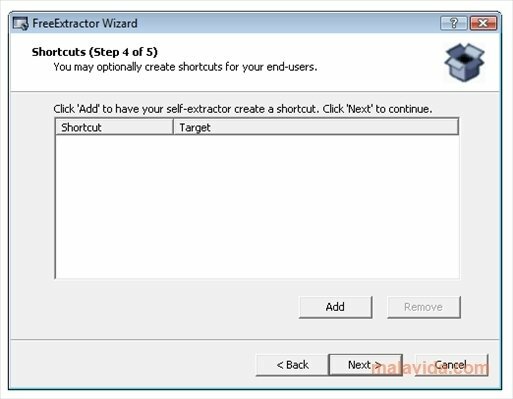 Download FreeExtractor as soon as possible and discover an easy way to extract the contents from any file in ZIP format.